Il senso comune è un giudizio senz'alcuna riflessione, comunemente sentito da tutto un ordine, da tutto un popolo, da tutta una Nazione, o da tutto il Gener Umano. In The New Science (3rd ed., 1744), Book 1, Para. 142, as translated by Thomas Goddard Bergin and Max Harold Fisch, The New Science of Giambattista Vico (1948), 57. Question: Show how the hypothenuse face of a right-angled prism may be used as a reflector. What connection is there between the refractive index of a medium and the angle at which an emergent ray is totally reflected? Answer: Any face of any prism may be used as a reflector. The con nexion between the refractive index of a medium and the angle at which an emergent ray does not emerge but is totally reflected is remarkable and not generally known. Journal of Researches: Into the Natural History and Geology of the Countries Visited During the Voyage of H.M.S. BeagIe Round the World (1839), ch. XVI, 369. C. Darwin, The Life of Erasmus Darwin (1887), 40. Besides electrical engineering theory of the transmission of messages, there is a larger field [cybernetics] which includes not only the study of language but the study of messages as a means of controlling machinery and society, the development of computing machines and other such automata, certain reflections upon psychology and the nervous system, and a tentative new theory of scientific method. Opticks (1704), Book 3, Query 5, 133. Do not great Bodies conserve their heat the longest, their parts heating one another, and may not great dense and fix'd Bodies, when heated beyond a certain degree, emit Light so copiously, as by the Emission and Re-action of its Light, and the Reflexions and Refractions of its Rays within its Pores to grow still hotter, till it comes to a certain period of heat, such as is that of the Sun? Opticks (1704), Book 3, Query II, 135. Geometry is unique and eternal, a reflection of the mind of God. That men are able to participate in it is one of the reasons why man is an image of God. As quoted in Epilogue, The Sleepwalkers: A History of Man’s Changing Vision of the Universe (1959), 524, citing Letter (9 or 10 April 1599) to Herwart von Hohenburg. I argued that it was important not to place too much reliance on any single piece of experimental evidence. It might turn out to be misleading, as the 5.1 Å reflection undoubtedly was. Jim was a little more brash, stating that no good model ever accounted for all the facts, since some data was bound to be misleading if not plain wrong. A theory that did fit all the data would have been “carpentered” to do so and would thus be open to suspicion. In What Mad Pursuit: A Personal View of Scientific Discovery (1988), 59-60. 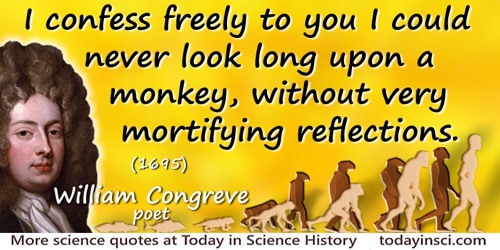 I confess freely to you I could never look long upon a Monkey, without very mortifying reflections. Letter to John Dennis (10 Jul 1695). In William Makepeace Thackeray, Lectures on the English Humourists of the Eighteenth Century (1885), 21. Friday Evening Discourse at the Royal Institution, ‘The Physicist in the Kitchen’. In Proceedings of the Royal Institution (1969), 42/199, 451–67. Cited in article on Kurti by Ralph G. Scurlock in Oxford Dictionary of National Biography. Pale Blue Dot: A Vision of the Human Future in Space (1994), 159. Mapping the human genome has been compared with putting a man on the moon, but I believe it is more than that. This is the outstanding achievement not only of our lifetime, but in terms of human history. A few months ago I compared the project to the invention of the wheel. On reflection, it is more than that. I can well imagine technology making the wheel obsolete. But this code is the essence of mankind, and as long as humans exists, this code is going to be important and will be used. 'On the Reception of the Origin of Species'. In F. Darwin (ed. ), The Life and Letters of Charles Darwin, Including an Autobiographical Chapter (1888), Vol. 2, 197. No more impressive warning can be given to those who would confine knowledge and research to what is apparently useful, than the reflection that conic sections were studied for eighteen hundred years merely as an abstract science, without regard to any utility other than to satisfy the craving for knowledge on the part of mathematicians, and that then at the end of this long period of abstract study, they were found to be the necessary key with which to attain the knowledge of the most important laws of nature. In Introduction to Mathematics (1911), 136-137. Three Essays on Sexuality: Infantile Sexuality (1905), In James Strachey (ed. ), The Standard Edition of the Complete Psychological Works of Sigmund Freud (1953), Vol 7, 182. In 'Introduction', The Ghost Continent (1966, 1969), 24. Out of the interaction of form and content in mathematics grows an acquaintance with methods which enable the student to produce independently within certain though moderate limits, and to extend his knowledge through his own reflection. The deepening of the consciousness of the intellectual powers connected with this kind of activity, and the gradual awakening of the feeling of intellectual self-reliance may well be considered as the most beautiful and highest result of mathematical training. In 'Ueber Wert und angeblichen Unwert der Mathematik', Jahresbericht der Deutschen Mathematiker Vereinigung (1904), 374. Physical investigation, more than anything besides, helps to teach us the actual value and right use of the Imagination—of that wondrous faculty, which, left to ramble uncontrolled, leads us astray into a wilderness of perplexities and errors, a land of mists and shadows; but which, properly controlled by experience and reflection, becomes the noblest attribute of man; the source of poetic genius, the instrument of discovery in Science, without the aid of which Newton would never have invented fluxions, nor Davy have decomposed the earths and alkalies, nor would Columbus have found another Continent. Presidential Address to Anniversary meeting of the Royal Society (30 Nov 1859), Proceedings of the Royal Society of London (1860), 10, 165. She is a reflection of comfortable middle-class values that do not take seriously the continuing unemployment. What I particularly regret is that she does not take seriously the intellectual decline. Having given up the Empire and the mass production of industrial goods, Britain's future lay in its scientific and artistic pre-eminence. Mrs Thatcher will be long remembered for the damage she has done. On Mrs Margaret H. Thatcher. The Guardian, 15 Oct 1988. The bomb took forty-five seconds to drop thirty thousand feet to its detonation point, our three parachute gauges drifting down above. For half that time we were diving away in a two-g turn. Before we leveled off and flew directly away, we saw the calibration pulses that indicated our equipment was working well. Suddenly a bright flash lit the compartment, the light from the explosion reflecting off the clouds in front of us and back through the tunnel. The pressure pulse registered its N-shaped wave on our screen, and then a second wave recorded the reflection of the pulse from the ground. A few moments later two sharp shocks slammed the plane. Alvarez: Adventures of a Physicist (1987), 7. The history of semiconductor physics is not one of grand heroic theories, but one of painstaking intelligent labor. Not strokes of genius producing lofty edifices, but great ingenuity and endless undulation of hope and despair. Not sweeping generalizations, but careful judgment of the border between perseverance and obstinacy. Thus the history of solid-state physics in general, and of semiconductors in particular, is not so much about great men and women and their glorious deeds, as about the unsung heroes of thousands of clever ideas and skillful experiments—reflection of an age of organization rather than of individuality. 'Selected Topics from the History of Semiconductor Physics and Its Applications', in Lillian Hoddeson et al. (eds. ), Out of the Crystal Maze (1992), 474. The mind has its illusions as the sense of sight; and in the same manner that the sense of feeling corrects the latter, reflection and calculation correct the former. A Philosophical Essay on Probabilities translated by F.W. Truscott and F.L. Emory (1902), 160. The most beautiful and deepest experience a man can have is the sense of the mysterious. It is the underlying principle of religion as well as all serious endeavour in art and science. He who never had this experience seems to me, if not dead, then at least blind. To sense that behind anything that can be experienced there is a something that our mind cannot grasp and whose beauty and sublimity reaches us only indirectly and as a feeble reflection, this is religiousness. Tis evident that all reasonings concerning matter of fact are founded on the relation of cause and effect, and that we can never infer the existence of one object from another, unless they be connected together, either mediately or immediately... Here is a billiard ball lying on the table, and another ball moving toward it with rapidity. They strike; and the ball which was formerly at rest now acquires a motion. This is as perfect an instance of the relation of cause and effect as any which we know, either by sensation or reflection. An Abstract of A Treatise on Human Nature (1740), ed. John Maynard Keynes and Piero Sraffa (1938), 11. Remarks at Knoxville Auditorium Coliseum, Knoxville, Tennessee (10 Oct 1996) while seeking re-election. American Presidency Project web page. We have hitherto considered those Ideas, in the reception whereof, the Mind is only passive, which are those simple ones received from Sensation and Reflection before-mentioned, whereof the Mind cannot make anyone to it self, nor have any Idea which does not wholy consist of them. But as these simple Ideas are observed to exist in several Combinations united together; so the Mind has a power to consider several of them united together, as one Idea; and that not only as they are united in external Objects, but as it self has joined them. Ideas thus made up of several simple ones put together, I call Complex; such as are Beauty, Gratitude, a Man, an Army, the Universe; which tough complicated various simple Ideas, made up of simple ones, yet are, when the Mind pleases, considered each by if self, as one entire thing, and signified by one name. An Essay Concerning Human Understanding (1690). Edited by Peter Nidditch (1975), Book 2, Chapter 12, Section 1, 163-4. We have three approaches at our disposal: the observation of nature, reflection, and experimentation. Observation serves to assemble the data, reflection to synthesise them and experimentation to test the results of the synthesis. The observation of nature must be assiduous, just as reflection must be profound, and experimentation accurate. These three approaches are rarely found together, which explains why creative geniuses are so rare. Thoughts on the Interpretation of Nature and Other Philosophical Works (1753/4), ed. D. Adams (1999), section XV, 42. We have three principal means: observation of nature, reflection, and experiment. Observation gathers the facts, reflection combines them, experiment verifies the result of the combination. It is essential that the observation of nature be assiduous, that reflection be profound, and that experimentation be exact. Rarely does one see these abilities in combination. And so, creative geniuses are not common. In On the Interpretation of Nature (1753). 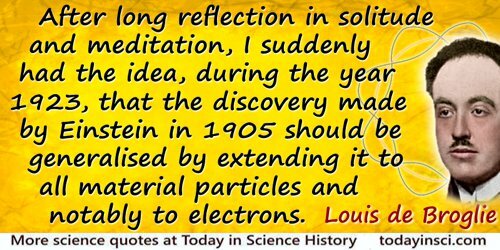 We think we understand the regular reflection of light and X rays - and we should understand the reflections of electrons as well if electrons were only waves instead of particles ... It is rather as if one were to see a rabbit climbing a tree, and were to say ‘Well, that is rather a strange thing for a rabbit to be doing, but after all there is really nothing to get excited about. Cats climb trees - so that if the rabbit were only a cat, we would understand its behavior perfectly.’ Of course, the explanation might be that what we took to be a rabbit was not a rabbit at all but was actually a cat. Is it possible that we are mistaken all this time in supposing they are particles, and that actually they are waves? Franklin Institute Journal Vol. 205, 597. Cited in New Scientist (14 Apr 1977), 66. Whatsoever accidents Or qualities our sense make us think there be in the world, they are not there, but are seemings and apparitions only. The things that really are in the world without us, are those motions by which these seemings are caused. And this is the great deception of sense, which also is by sense to be corrected. For as sense telleth me, when I see directly, that the colour seemeth to be in the object; so also sense telleth me, when I see by reflection, that colour is not in the object. The Elements of Law: Natural and Politic (1640), Ferdinand Tonnies edn. (1928), Part 1, Chapter 2, 6. Wisdom is a river that runs deep and slow. Inspiration and intuition are lightning flashes reflected on its surface. In The Passionate State of Mind (1955), 128. 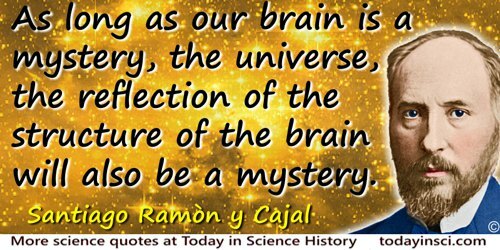 Without initiation into the scientific spirit one is not in possession of the best tools humanity has so far devised for effectively directed reflection. [Without these one] fails to understand the full meaning of knowledge. Democracy and Education: an Introduction to the Philosophy of Education (1916), 223. [Decimal currency is desirable because] by that means all calculations of interest, exchange, insurance, and the like are rendered much more simple and accurate, and, of course, more within the power of the great mass of people. Whenever such things require much labor, time, and reflection, the greater number who do not know, are made the dupes of the lesser number who do. Letter to Congress (15 Jan 1782). 'Coinage Scheme Proposed by Robert Morris, Superintendent of Finance', from MS. letters and reports of the Superintendent of Finance, No, 137, Vol. 1, 289-300. Reprinted as Appendix, in Executive Documents, Senate of the U.S., Third Session of the Forty-Fifth Congress, 1878-79 (1879), 430. 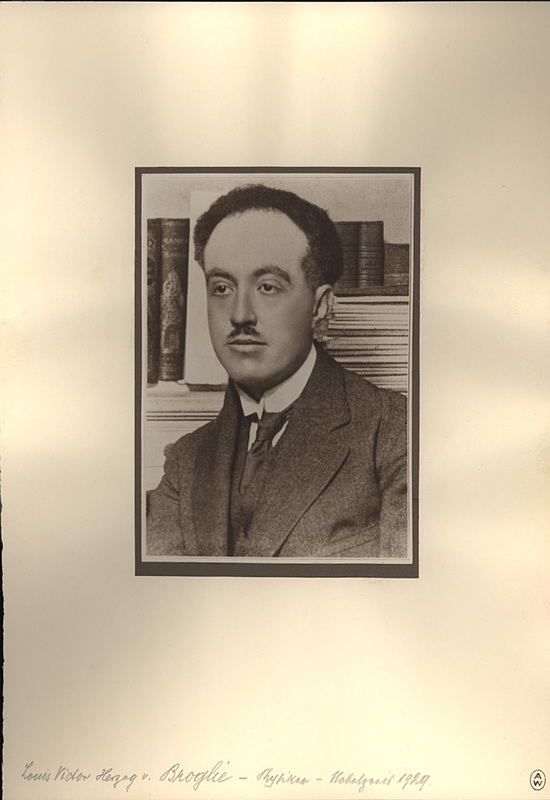 In Space, Time and Gravitation: An Outline of the General Relativity Theory (1920, 1921), 11.